Ah, your first. You never forget your first, do you? 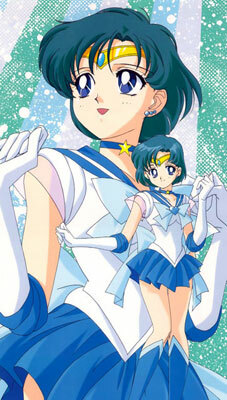 My first crush ever on a fictional character was Ami Mizuno, aka Sailor Mercury. When I was in elementary school and my playground friends were watching Dragon Ball Z, I was instead intently (and secretly) watching Sailor Moon with a passion. I found Dragon Ball Z too drawn out and boring, whereas Sailor Moon was just… magical. Magic and fantasy have always trumped martial arts in my mind. 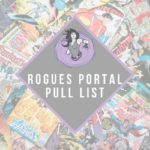 I loved the idea of these teenage girls trying to live their lives while also tied to a mystical destiny to protect the world from evil. When I think back, the whole Tuxedo Mask amnesiac plotline and eventually Serena’s daughter Rini showing up preceded my love for dramatic shows like Downton Abbey. I was too young to be physically attracted to the characters, but what I didn’t know then is that I have a thing for strong women. 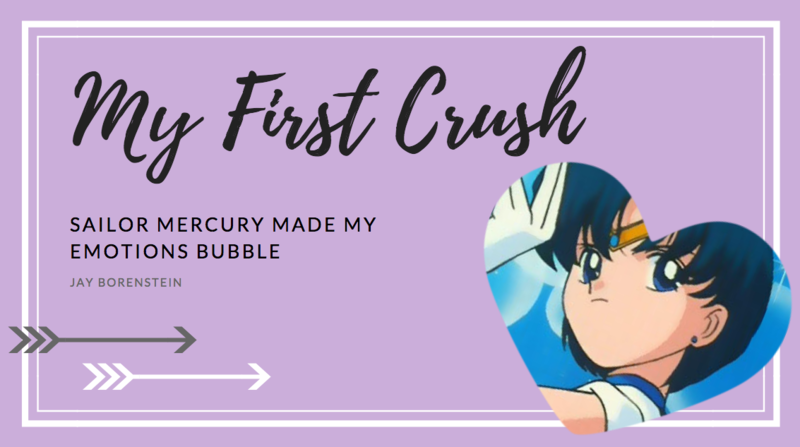 It was only later in life that I began to realize that my fascination with Sailor Mercury, and all the other Sailor Scouts, was also due to the early onset of puberty. 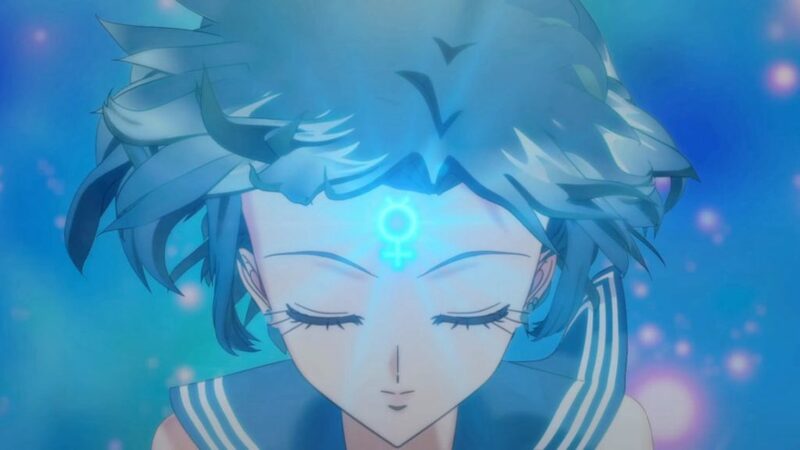 Sailor Mercury was instantly my favorite because her element was water, and she was the smart one. I always had a thing for the smart characters on shows – I never had to fight to be Donatello when playing Ninja Turtles. It was because of Sailor Moon that I started trying to draw anime, and of course, I tried drawing Sailor Mercury. She was my favorite, after all. I am both saddened and glad that none of those drawings still exist – they were pretty terrible. That being said, it’s fair to say both she and the show were on my mind a fair bit. I have vivid memories of seeing Sailor Moon trading cards in the local convenience store and asking my parents for money so I could buy them. I was too embarrassed to get my mom to buy them directly, perhaps sensing that collecting “girl” cards would open up a dialogue with my parents I was not ready for. Suffice it to say, I looked at them a fair amount. I also recall finding others who shared my passion for Sailor Moon, and talking with them whenever I got the chance. My memories around this are hazy – but some of the conversations definitely veered towards “which one do you think is the hottest?” As a shy kid, these lines of inquiry made me uncomfortable. Nobody else thought Mercury was their favorite – but that was okay. All these other boys were “philistines” for simply thinking about looks. What about personality? What about their IQ? Savages! As I got into my teens, I fondly remembered watching Sailor Moon, but by then my fictional crushes had switched to other characters such as Willow on Buffy The Vampire Slayer, or maybe adult AndrAla on ReBoot. Yet it was in my teens that I discovered that I was not the only one who watched Sailor Moon, pretty much every boy with cable had. 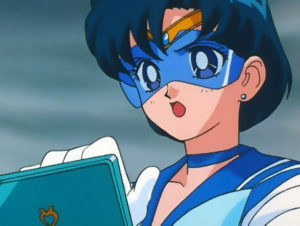 At that time I was able to recognize Sailor Mercury as my first fictional Waifu. So while I can’t say I still idolize Ami enough that I have a shrine to her in my apartment, well, you never forget your first, do you? Appreciator of nerd culture and art, writes about video games, cartoons, comics, and whatever else strikes his fancy. 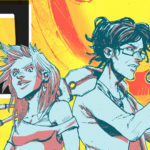 Blogger here at Rogues Gallery and on his private blog <a href="http://www.nerdspeaker.com">Nerd Speaker</a>. Might be a cartoon character.